Google is offering 2GB of free storage to anyone who performs a security check up on his/her Google account. This is one of the most interesting offers by Google this year. You are being rewarded for protecting yourself. 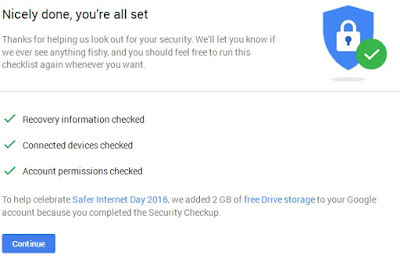 This is Google's way of celebrating safer internet day which always comes up on the 8th of February. It is the second time Google is doing this in two years. If you want free storage, then just take 5minutes or less to check your security settings. Here is what you will need to do to get your free storage. 1. Verify, update, add or change your recovery information which includes your phone number, recovery email and security question. The information you provide here can be used to recover your account especially when you forget your email or pass word among other things. Once you are sure everything is ok. Make sure you click ‘’Done’’. 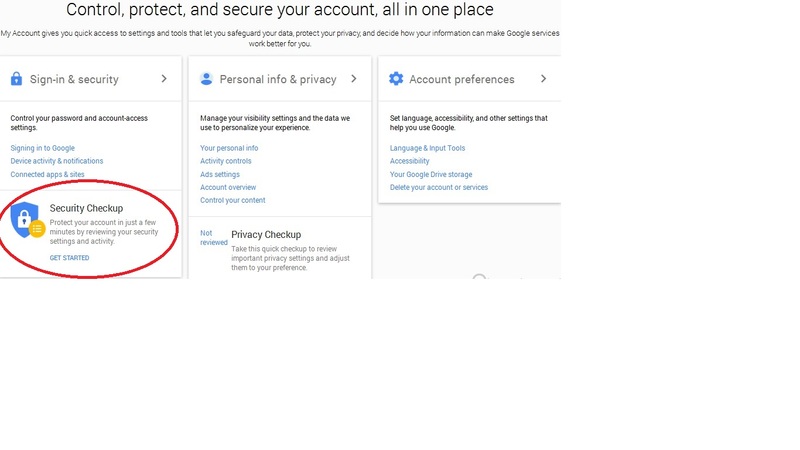 If you think some of this information had been altered then go back to your Google account and click sign in and security to change your password. 2. After checking your security information, you should see a green tick ‘’Recovery information Checked’’. 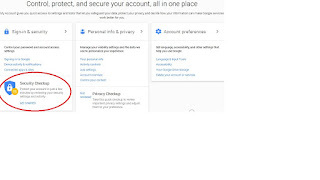 The next thing to do is to check the devices connected to your account. If your see that all the devices shown are familiar, click on ‘’Looks Good’’ if not then click the other option to get everything in order. 3. After ensuring you have the right devices connected to your account, check out the apps and websites that have access to your account. In addition to this, I will recommend that you should know the type of access you have given to an app. Some apps have full access; others can view just your basic information and some can read and write for you. You can now take a time to look at the app s you have connected to your account. Remove the ones you are not using or the ones you think are not secured. Click done and here we are!!!! Two gigabytes of free storage. It is important to note that security settings are very important for every account you have on the internet. Your security settings protect your account from being hacked, misused and helps in recovering lost accounts. Whether you are offered free storage or not, just always make sure your account security standings are good. This can be done by regularly checking your account settings and updating them if necessary. Can i have 2GB every year?